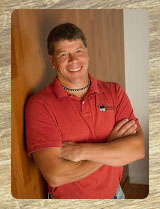 As the owner of Williamson Remodeling, Mark Williamson specializes in home remodels ranging from the kitchen to the bathroom, bedroom to the living room, etc. While making your home unique, Williamson Remodeling also creates beautiful custom home furnishings, tables, chairs, shelving units, benches; you name it! With 15 years of experience, Williamson Remodeling is able to bring your drawings and home dreams to life. How did you hear about Williamson Remodeling?